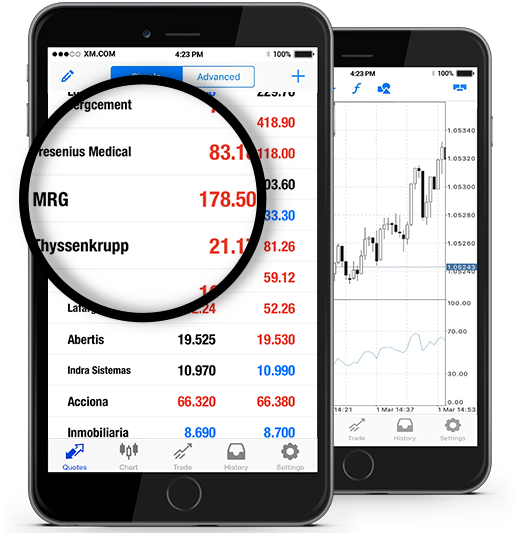 At XM we offer Munich Re Group (Münchener Rückversicherungs-Gesellschaft Aktiengesellschaft in München) (MUVGn.DE) stocks as cash CFDs. Our cash CFDs stocks are undated transactions that aim to replicate the cash price of the underlying stock, and so they are adjusted for any relevant corporate actions. Munich Re Group is a leading German company in the financial services industry specialized in reinsurance, primary insurance, risk assumption, and asset management, providing its services to a global client base. The company was founded in 1880 and has its headquarters in Munich, Germany. Munich Re is a component of the blue-chip stock market index DAX, and its stock is traded on Frankfurt Stock Exchange. *** Note that the maximum trading volume for MRG per client is 89 lots. This limit will be reviewed on a daily basis and updated according to the value of the instrument. How to Start Trading Munich Re Group (Münchener Rückversicherungs-Gesellschaft Aktiengesellschaft in München) (MUVGn.DE)? Double-click on Munich Re Group (Münchener Rückversicherungs-Gesellschaft Aktiengesellschaft in München) (MUVGn.DE) from the “Market Watch” to open an order for this instrument.